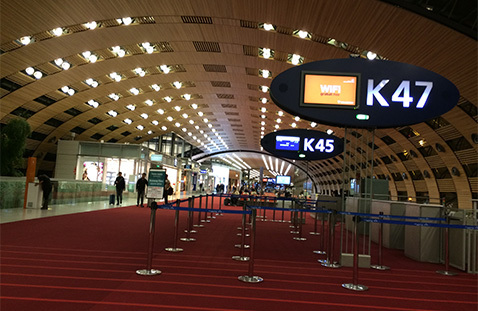 In recent years, tourist development tops the agendas among different cities. 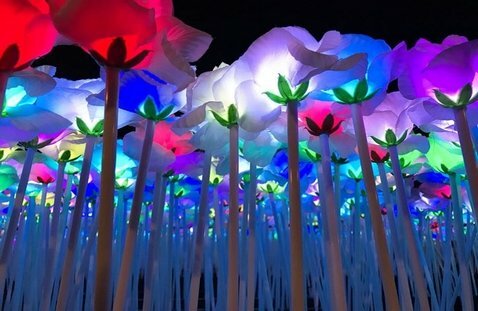 Sustaining the existing seasonal tourist events, these cities have embarked on integrating the advanced LED technology into the tourist spots, with the aim of boosting tourism. 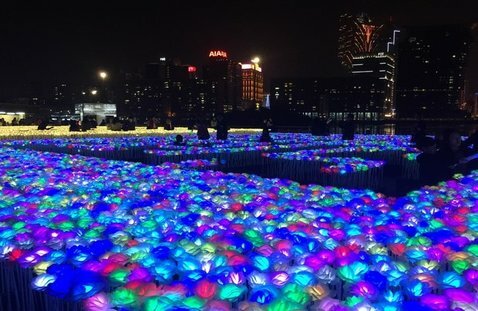 Equipping with similar vision, Macao government held Light Festival in 2015 to instill vitality into the city. 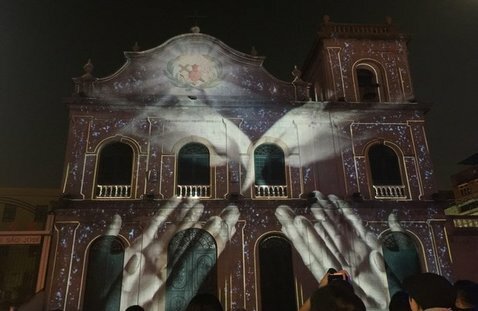 Surrounded with romantic LED lightings, these attractions, such as Ruínas da Antiga Catedral de São Paulo, managed to display and highlight their styles and historical values more vividly. 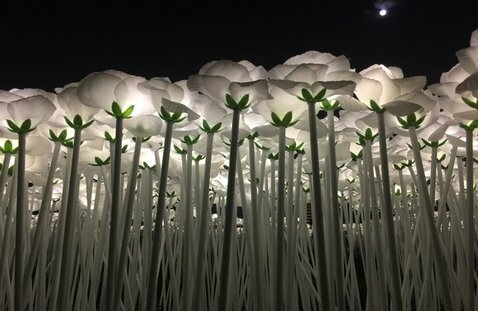 Such remarkable change had resulted in more visits to Macao, Macao Light Festival was then arranged as yearly events in the years onwards. 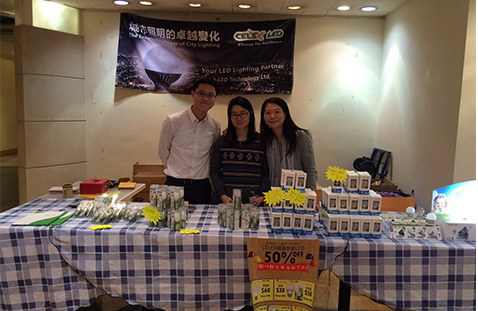 Some of our customers also participated in Macao Light Festival 2017. 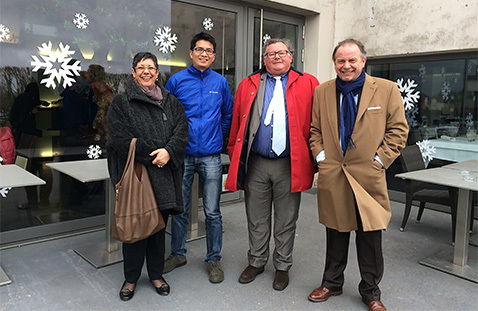 In December 2017, our supportive members from CELEX were honored to have visited and participated in the events. 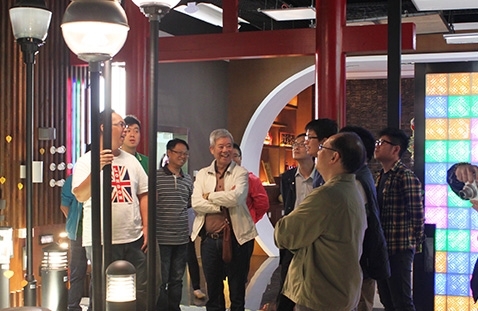 We were deeply inspired by the idea of merging LED lighting technologies with tourist attractions. On 6th January 2017, the annual dinner of Triple Faith Group was held at V Cuisine at Lions Rise Mall to express the thankfulness to the contributions of her staff throughout the year. A variety of activities were organized. 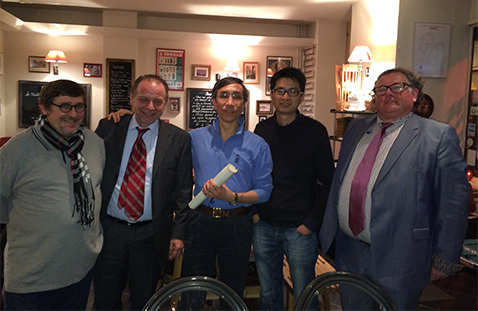 MD Raymond delivered an inspiring speech and led the toasting, followed by an award presentation to show appreciations towards the colleagues with outstanding performance. On top of that, intriguing performances were conducted by colleagues from several departments. 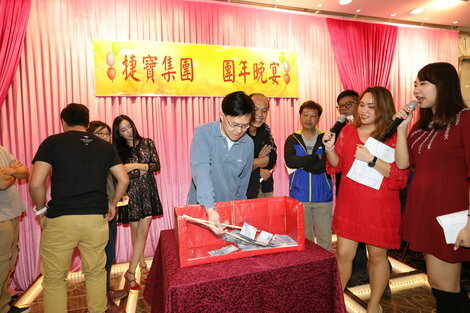 The annual dinner ended with a ‘lucky draw’ program, which definitely created and built up an exciting atmosphere among all attendees who are in a mood to greet another brighter year to come. The event was truthfully enjoyable and memorable. 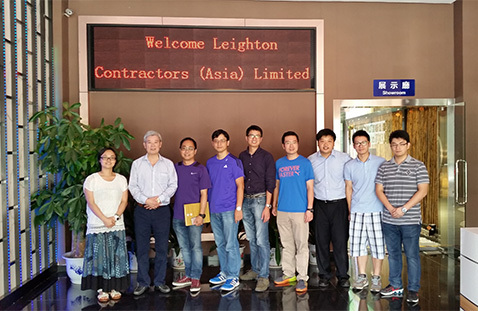 A leading global construction company, Leighton Asia delivers a portfolio of high-profile infrastructure projects across Asia spreading through Hong Kong, their headquarters base, Indonesia, India, Macau, Malaysia, Philippines, Singapore, Thailand and Iraq. 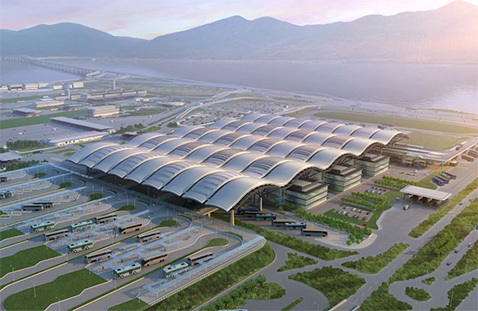 In Hong Kong, their most recent giant projects include Central Reclamation Phase III, Central Wan Chai Bypass, Tin Shui Wai Hospital, MTR South Island Line and Hong Kong-Zhuhai-Macau Bridge Hong Kong Cross Boundary Facilities – Passenger Customer Clearance Building, just to name a few. 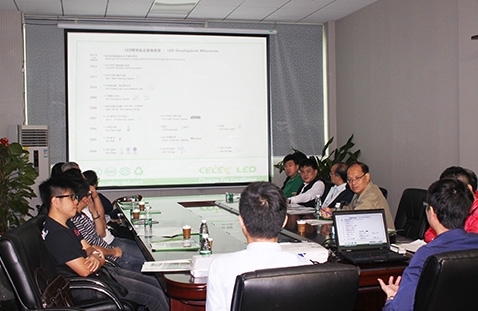 Considering Celex LED a close lighting partner of them, particularly after our winning of the award of the lighting project for the Hong Kong-Zhuhai-Macau Bridge, Leighton sent a group of project experts and senior engineers to visit Celex R&D Centre on July 18. 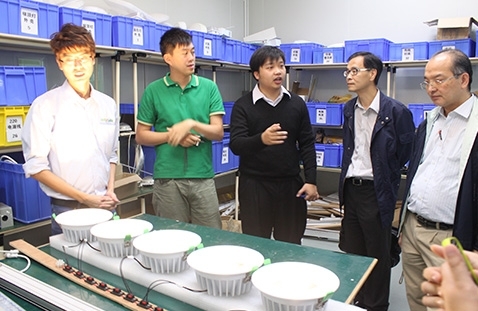 During the visit, we shared insights about the latest LED lighting technology in the world and how our new design and quality assurance process of lighting solutions can satisfy their acute demand for lighting effect and product quality in their current and future projects. 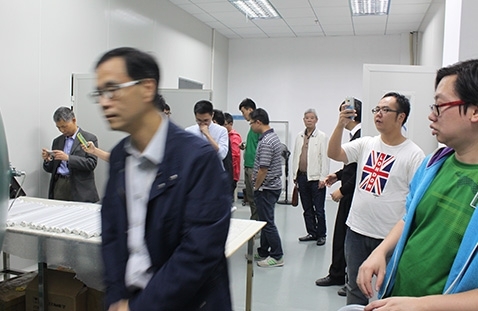 Amidst the numerous activities that day, the delegate also toured our entire R&D facilities including our sophisticated testing lab. 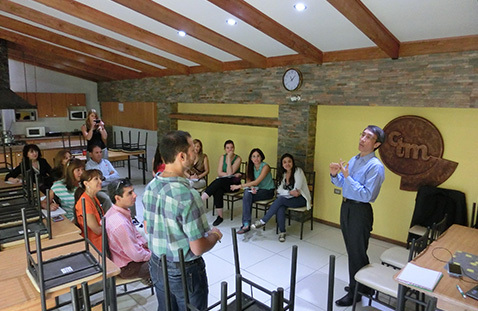 The visiting team agreed that their time was well spent at the closing remark. WSP is a world leading and renowned services firms to provide professional services and integrated solutions to governments, businesses, architects and planners across many disciplines. Their expertise ranges from environmental remediation to urban planning and from developing the energy sources of the future to enabling new ways of extracting essential resources. 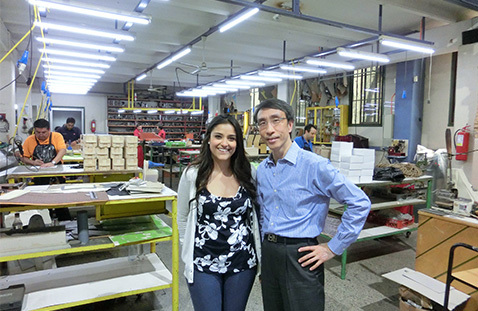 They have approximately 31,000 employees worldwide at present. 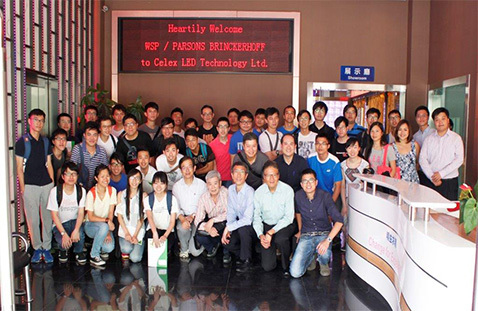 In a bid to explore Celex LED’s latest lighting technology and quality assurance process, WSP sent a delegate of some 40 engineers, technicians, consultants and on-site implementers to visit our R&D Centre in Shenzhen on a sunny Saturday of July 4, 2015. The visiting team was amazed to see our QA centre, testing lab, IES validating room and simulated structures like public facilities, gardens, pubs, hotels, etc. 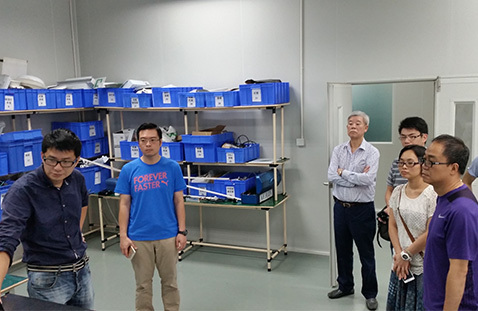 They were also excited to witness how we ultilize our equipment and processes to optimze our technological advancement, product quality and control innovation. 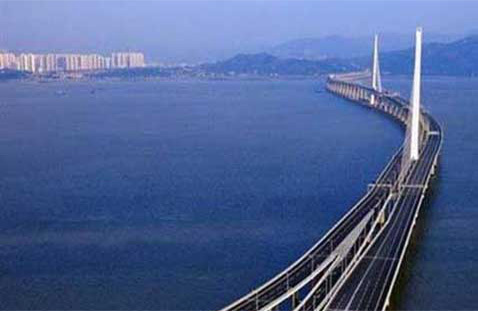 Despite still amidst construction, Hong Kong Zhuhai Macau Bridge has already become a spotlight in the eyes of many people. 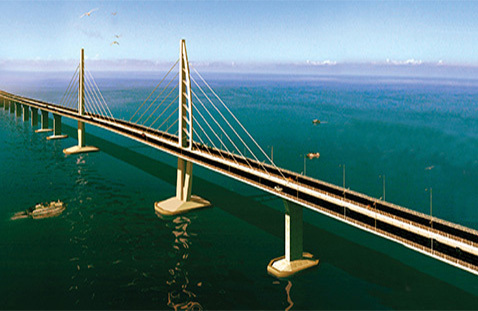 Expected to be completed in 2017, this tremendous project – a 50km link with a series of bridges and tunnels – shall vastly shorten the distance and boost the tourism and trade of most individuals, households and businesses of Hong Kong. 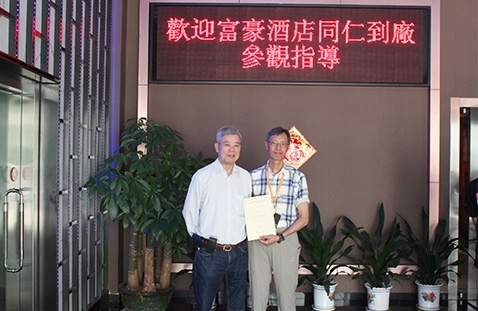 Celex LED is honored to be given the opportunity to supply LED lighting solutions for the Hong Kong Boundary Crossing Facilities – the Passenger Clearance Building. 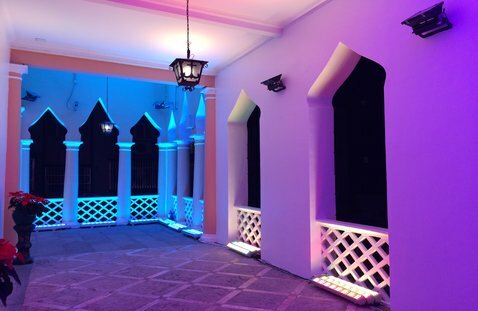 On one hand, we have tailored over 30 types of lightings, mostly flood lights, down lights and string lights, to meet the unique, dynamic and scriptural design of the 40,000m2, 30m high building demand. 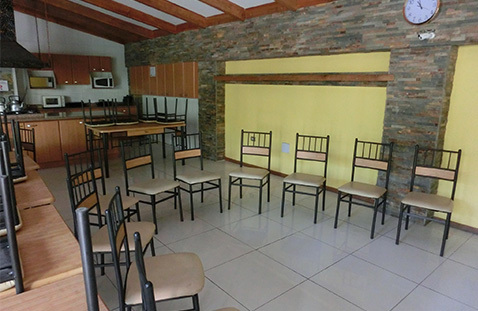 On the other, we are still working with the relevant architects, lighting designers and contractors to perfect the installation and commissioning of this mission critical project. 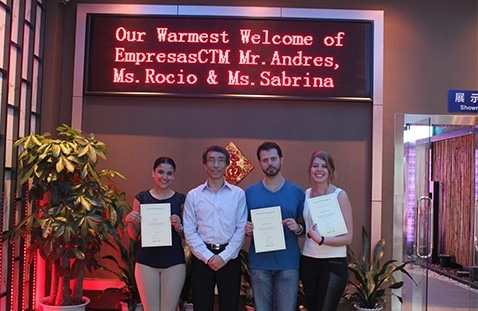 With a history of close to 30 years, EmpresasCTM has now become a diversified manufacturer and supplier for over 5,000 products to sell into many countries. 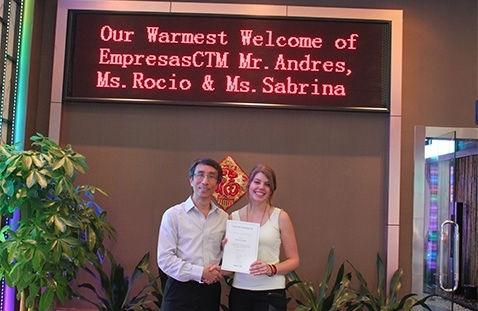 Same as Celex, CTM aims to offer quality products that make unique experiences in their customers. 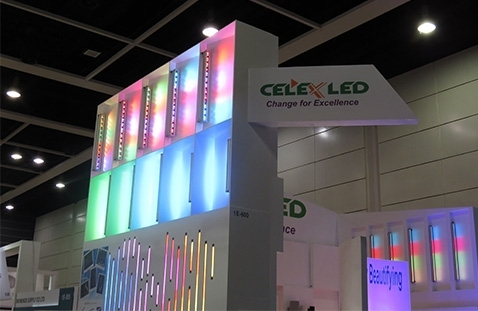 With this aspiration in mind, CTM chose to partner with Celex LED as their primary LED lighting supplier. 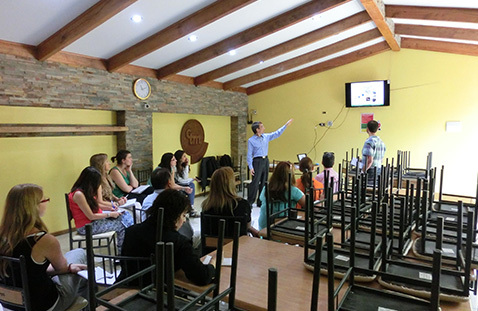 To enhance their marketability and sales penetration, Dr. Joseph Tsui of Celex LED flew all the way to Santiago to conduct an on-site workshop for CTM's staff on March 5, 2015. 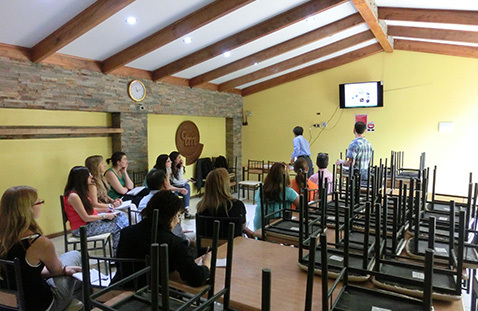 The training was interactive, fun and to the point. 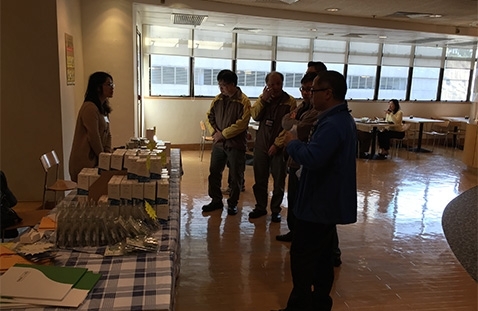 The activites were well received where the director of CTM told us that their colleaques were excited to have learned about the latest in LED technology, the global market trand and tactical sales expansion skills. 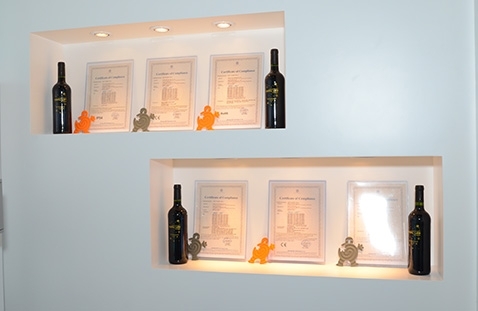 We also benefitted from getting a better understanding of their market behavior and customer requirements. Exploring the New Invention of Lighting: Long Distance Projector, etc. 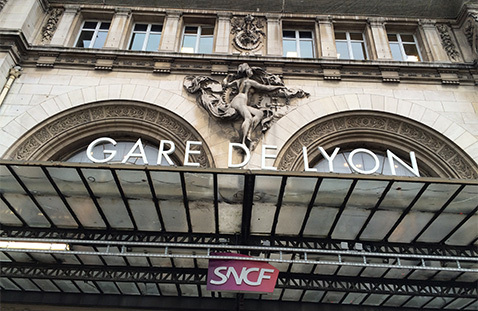 A small municipality residing only half a million people, Lyon is already named France's third largest city after Paris and Marseille. 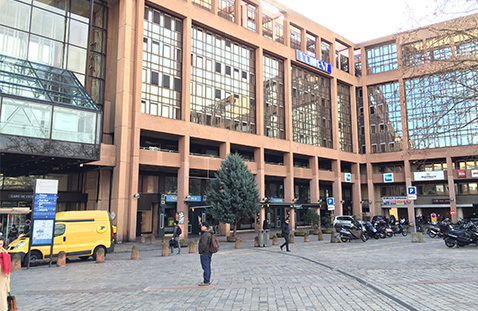 Lyon behaves so advanced in its city planning and the adaptation of LED lightings. 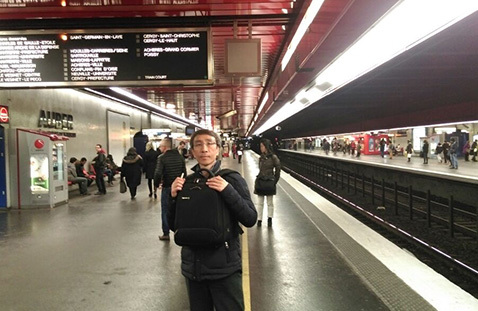 When Dr. Joseph Tsui and Mr. Gary Hsu of Celex LED visited Lyon on Feb 24, 2015, they went through many exhibits displaying the latest LED lighting technology. 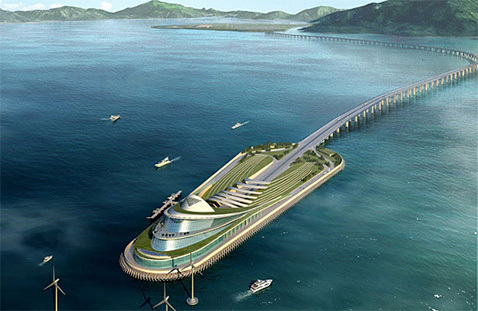 They toured several hotels and the landscapes plus a special type of lighting called "Ground Projector" near the shore. Like an ultra high intensity flood light, "Ground Projector" represents a bunch of strong and powerful light beams (up to 2,000W) projected from one end to the distant distination (see photos on the left) where some may use it on the ground projecting upright to the dark sky while others on a large cargo ship for a holistic ship illunination. 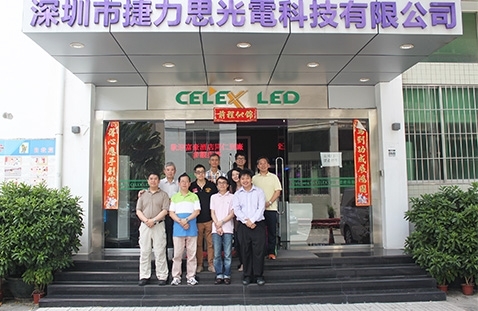 For the sake of energy efficiency, Celex is examinating applying our LED technology to replace it. 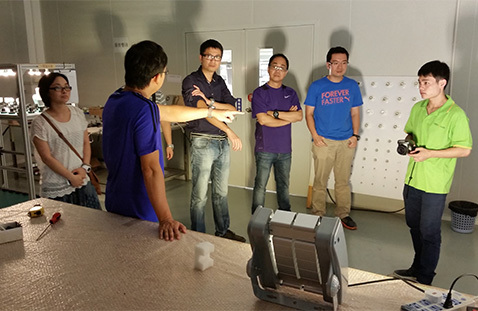 We trust that we can save at least 50% power (over 1,000W per lamp) if the test is proven. 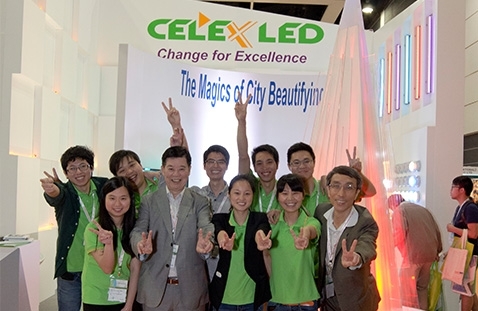 In a bit to realize energy efficiency and electric bill saving, CelexLED was committed to supporting this by delivering the most state-of-the-art lighting solutions to the market. The most effective way to spread out the message is to go household. 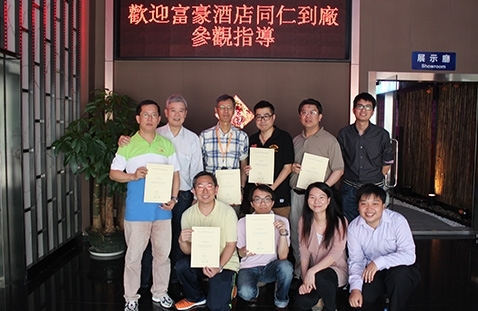 We therefore offered a special staff purchase program for MTRC staff at their Kowloon Bay and Fo Tan Headquarters. 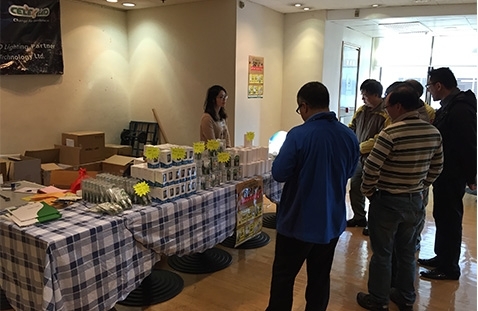 We ran road shows there so that all staff could have a touch and feel of our products. The response was so good that we finally got the message well across. 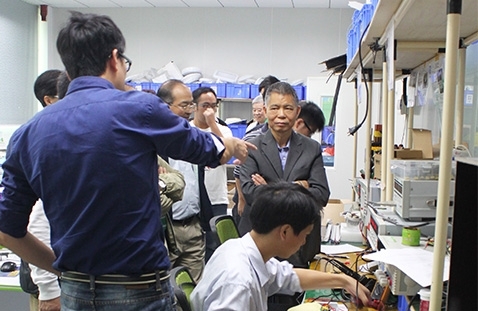 We were pleased to have Hsin Chong Group to visit our R&D Centre in Nov 2014. 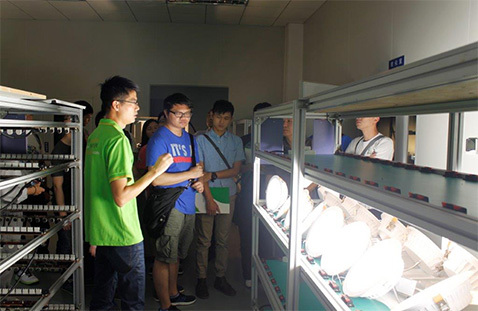 We took good opportunity to show them our latest LED lighting technology and how it translates into the most sought after LED lighting solutions that our customers desire. During the break, we chatted about the market trend, the latest technology and the new energy efficiency and safety standard looking forward. 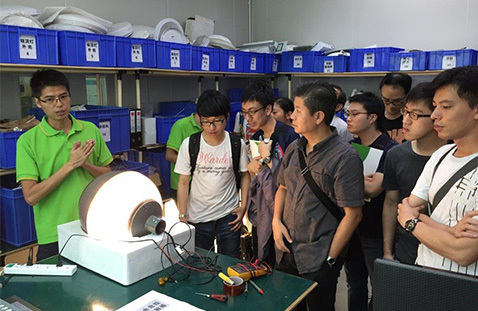 Per their request, we led them to tour our product testing lab and QA department and provided a short but comprehensive training on LED lighting. They all agreed that their time was well spent that day. 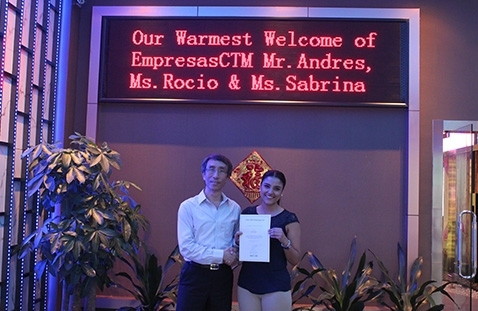 In search of a trustworthy LED lighting supplier and quality products for their business expansion, Empresas CTM approached us via a reliable referral. 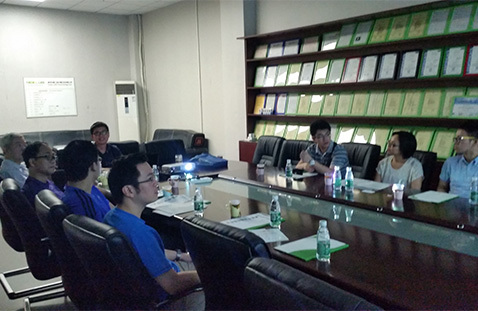 They came to our R&D Centre in Shenzhen last summer to evaluate our product capability. 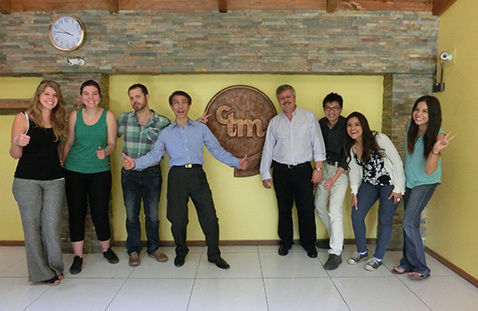 One big concern of CTM is the quality of goods and supply stability. 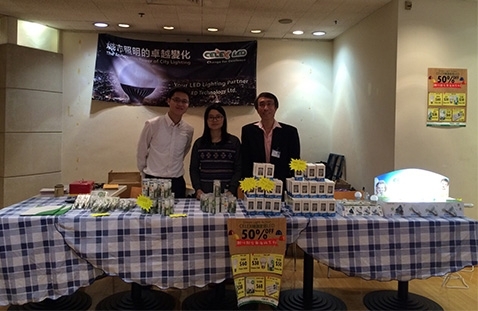 They felt peace of mind and highly satisfied with us after seeing our latest LED technology, our relevant products and the solid job references that we have built. 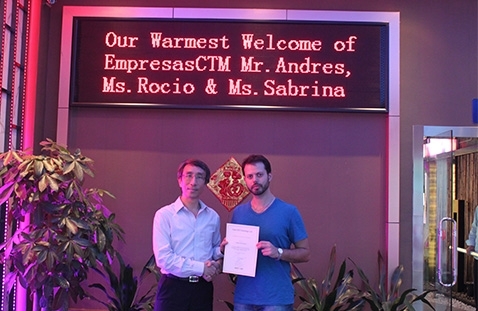 They started the purchase wtih us right after and has now become a major distributor and good friend of us. 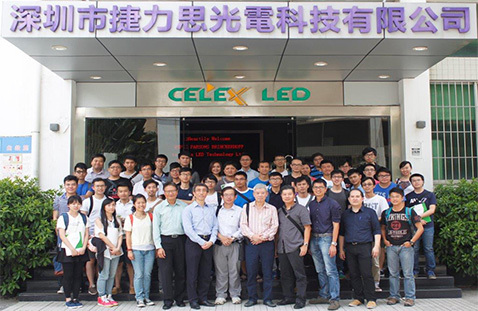 At time when Regal Hotel Hong Kong was doing the feasibility studies of their lighting retrofit project, they chose to listen to CelexLED and took the time to visit our R&D Centre in Shenzhen in August 2014. 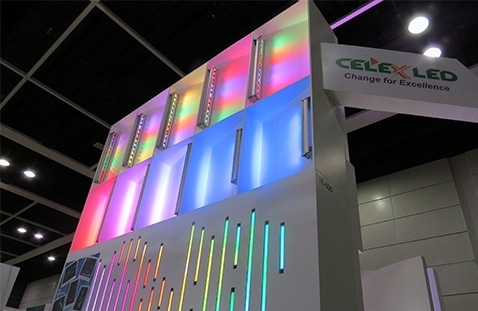 We took the opportunity to show them our latest LED technology and how it translates into the most advanced LED lighting solutions they desired. 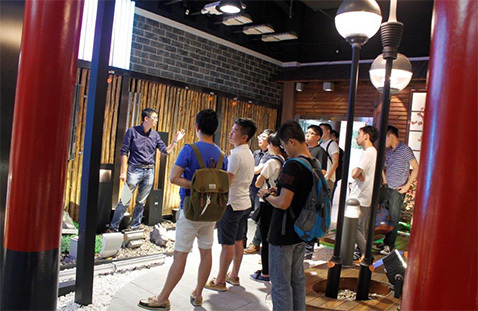 We also demonstrated our hotel solutions such as Facade lighting for object beauty and crystal lighting for enhancing the customer mood at hotel lobbies. 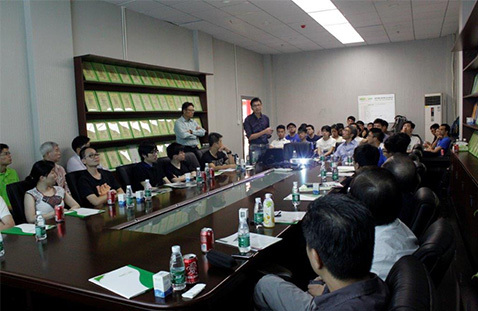 We then provided them with a familiarization training to let them have a good hands-on with our LED solutions. 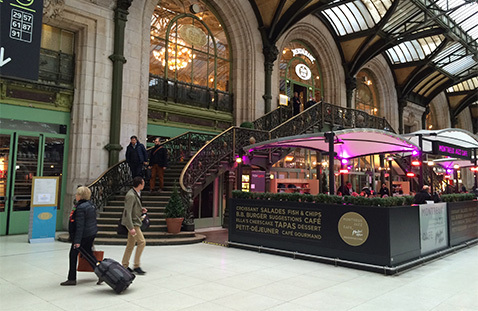 Regal Hotel finally adopted our LED solutions for some of their hotel applications. 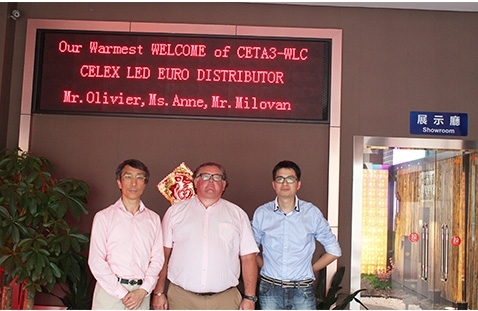 Overseas lighting distributors like Ceta 3-wlc.eu heard about our name from the Internet. 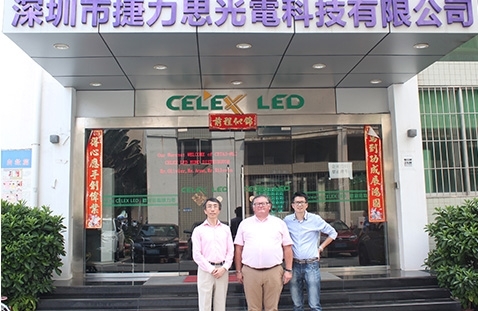 To find out why CelexLED was so popular they flew all the way from France to Hong Kong to visit our Hong Kong Headquarters and Technology Centres in Shenzhen last summer. 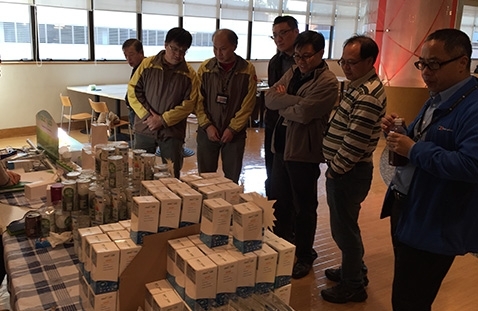 They were amazed with our technical knowhow, product development and quality assurance capability. 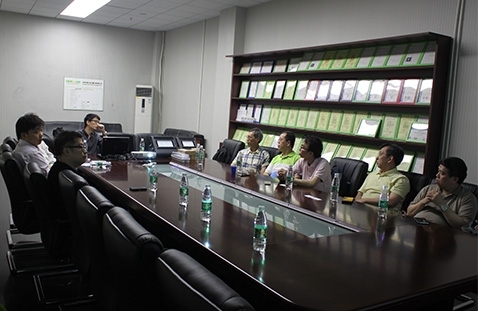 They nodded their heads and smiled after witnessing how serious we were in technical research and product customization. 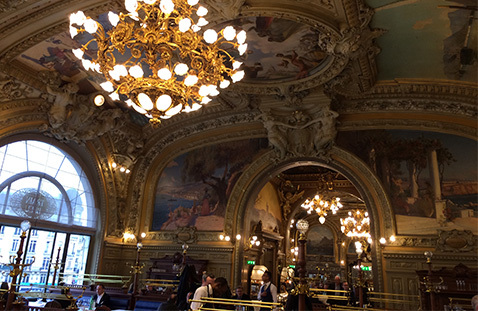 To optimize their stay, we extended our talk to cover how we could satisfy their customers in Europe. 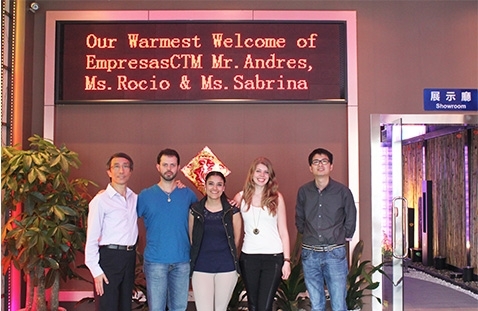 They were satisfied with the tour and later became one of our important overseas distributors. 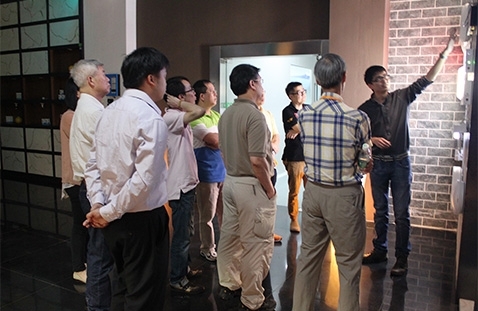 We participated in the Build4Asia Exhibition - Elenex 2014 during May 7-9, 2014. 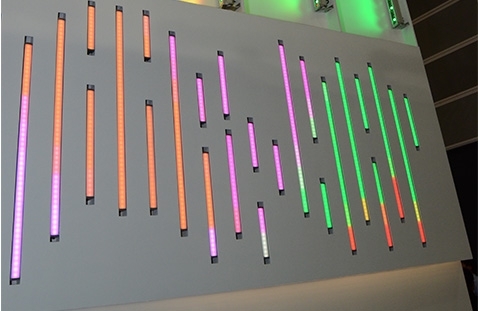 Focusing on showing our façade solutions, our booth was so colourful and eye catching. 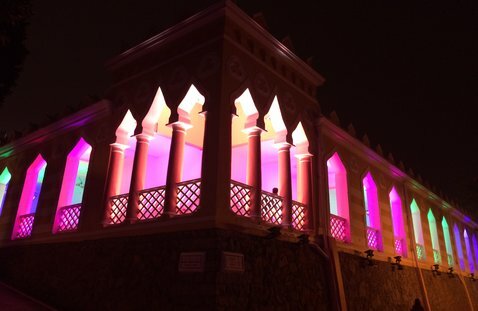 We demonstrated the charm of façade lighting and how it changed the feel and mood of a building and lifted its value. 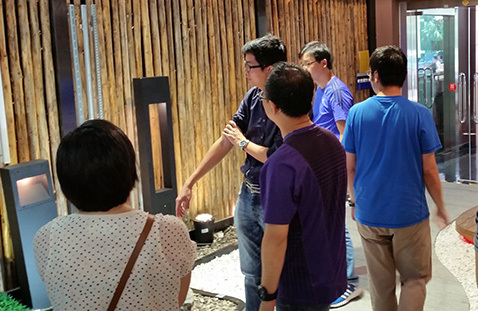 Our booth attracted quite some professional architects and building designers. We received excellent response from them.